Esse é o primeiro post da série Curiosidades sobre o mundo de Banco de Dados, serão informações interessantes sobre BD em geral, procurei não focar em SQL Server (somente nesta série.. porque aqui é SQL Server mano hahaha) mas, sim em curiosidades sobre banco de dados em geral, tanto no mundo transacional como no mundo NoSQL. Dados coletados pelo site Compare Business Products apresenta informações sobre bancos de dados gigantes, com números surreais de transações e quantidade de usuários. A matéria foi denominada como Top 10 Largest Databases in the World. O link para a matéria completa aqui. If you had a 35 million euro super computer lying around what would you use it for? The stock market? Building your own internet? Try extensive climate research — if there’s a machine out there that has the answer for global warming, this one might be it. Operated by the Max Planck Institute for Meteorology and German Climate Computing Centre, The World Data Centre for Climate (WDCC) is the largest database in the world. The WDCC boasts 220 terabytes of data readily accessible on the web including information on climate research and anticipated climatic trends, as well as 110 terabytes (or 24,500 DVD’s) worth of climate simulation data. To top it off, six petabytes worth of additional information are stored on magnetic tapes for easy access. How much data is six petabyte you ask? Try 3 times the amount of ALL the U.S. academic research libraries contents combined. After less than two years of operation YouTube has amassed the largest video library (and subsequently one of the largest databases) in the world. YouTube currently boasts a user base that watches more than 100 million clips per day accounting for more than 60% of all videos watched online. In August of 2006, the Wall Street Journal projected YouTube’s database to the sound of 45 terabytes of videos. While that figure doesn’t sound terribly high relative to the amount of data available on the internet, YouTube has been experiencing a period of substantial growth (more than 65,000 new videos per day) since that figures publication, meaning that YouTube’s database size has potentially more than doubled in the last 5 months. Estimating the size of YouTube’s database is particularly difficult due to the varying sizes and lengths of each video. However if one were truly ambitious (and a bit forgiving) we could project that the YouTube database will expect to grow as much as 20 terabytes of data in the next month. Given: 65,000 videos per day X 30 days per month = 1,950,000 videos per month; 1 terabyte = 1,048,576 megabytes. If we assume that each video has a size of 1MB, YouTube would expect to grow 1.86 terabytes next month. Similarly, if we assume that each video has a size of 10MB, YouTube would expect to grow 18.6 terabytes next month. Not even the digital age can prevent the world’s largest library from ending up on this list. 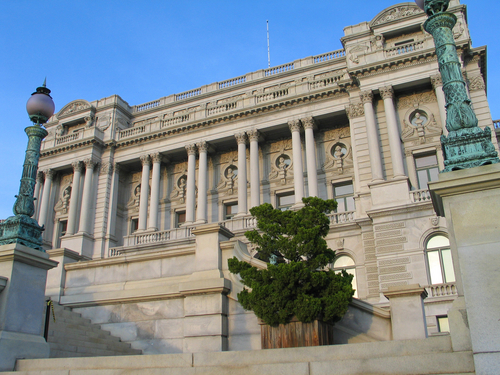 The Library of Congress (LC) boasts more than 130 million items ranging from cook books to colonial newspapers to U.S. government proceedings. It is estimated that the text portion of the Library of Congress would comprise 20 terabytes of data. The LC expands at a rate of 10,000 items per day and takes up close to 530 miles of shelf space — talk about a lengthy search for a book. If you’re researching a topic and cannot find the right information on the internet, the Library of Congress should be your destination of choice. For users researching U.S. history, around 5 million pieces from the LC’s collection can be found online at American Memory. Unfortunately for us, the Library of Congress has no plans of digitizing the entirety of its contents and limits the people who can check out materials to Supreme Court Justices, members of Congress, their respective staff, and a select few other government officials; however, anyone with a valid Reader Identification Card (the LC’s library card) can access the collection. Amazon, the world’s biggest retail store, maintains extensive records on its 59 million active customers including general personal information (phone number address, etc), receipts, wishlists, and virtually any sort of data the website can extract from its users while they are logged on. Amazon also keeps more than 250,000 full text books available online and allows users to comment and interact on virtually every page of the website, making Amazon one of the world’s largest online communities. This data coupled with millions of items in inventory Amazon sells each year — and the millions of items in inventory Amazon associates sell — makes for one very large database. Amazon’s two largest databases combine for more than 42 terabytes of data, and that’s only the beginning of things. If Amazon published the total number of databases they maintain and volume of data each database contained, the amount of data we know Amazon houses would increase substantially. But still, you say 42 terabytes, that doesn’t sound like so much. In relative terms, 42 terabytes of data would convert to 37 trillion forum posts. Although there is not much known about the true size of Google’s database (Google keeps their information locked away in a vault that would put Fort Knox to shame), there is much known about the amount of and types of information Google collects. On average, Google is subjected to 91 million searches per day, which accounts for close to 50% of all internet search activity. Google stores each and every search a user makes into its databases. After a years worth of searches, this figure amounts to more than 33 trillion database entries. Depending on the type of architecture of Google’s databases, this figure could comprise hundreds of terabytes of information. Google is also in the business of collecting information on its users. Google combines the queries users search for with information provided by the Google cookies stored on a user’s computer to create virtual profiles. To top it off, Google is currently experiencing record expansion rates by assimilating into various realms of the internet including digital media (Google Video, YouTube), advertising (Google Ads), email (GMail), and more. Essentially, the more Google expands, the more information their databases will be subjected to. In terms of internet databases, Google is king. 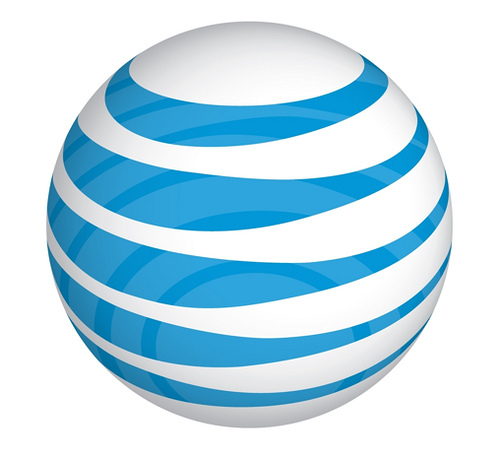 Similar to Sprint, the United States’ oldest telecommunications company AT&T maintains one of the world’s largest databases. Architecturally speaking, the largest AT&T database is the cream of the crop as it boasts titles including the largest volume of data in one unique database (312 terabytes) and the second largest number of rows in a unique database (1.9 trillion), which comprises AT&T’s extensive calling records. The 1.9 trillion calling records include data on the number called, the time and duration of the call and various other billing categories. AT&T is so meticulous with their records that they’ve maintained calling data from decades ago — long before the technology to store hundreds of terabytes of data ever became available. Chances are, if you’re reading this have made a call via AT&T, the company still has all of your call’s information. The second largest database in the world belongs to the National Energy Research Scientific Computing Center (NERSC) in Oakland, California. NERSC is owned and operated by the Lawrence Berkeley National Laboratory and the U.S. Department of Energy. The database is privy to a host of information including atomic enegry research, high energy physics experiements, simulations of the early universe and more. Perhaps our best bet at traveling back in time is to fire up NERSC’s supercomputers and observe the big bang. The NERSC database encompasses 2.8 petabytes of information and is operated by more than 2,000 computational scientists. To put the size of NERSC into perspective, the total amount of spoken words in the history of humanity is estimated to be at 5 exabytes; in relative terms, the NERSC database is equivalent to 0.055% of the size of that figure. Although that may not seem a lot at first glance, when you factor in that 6 billion humans around the globe speak more than 2,000 words a day, the sheer magnitude of that number becomes apparent.